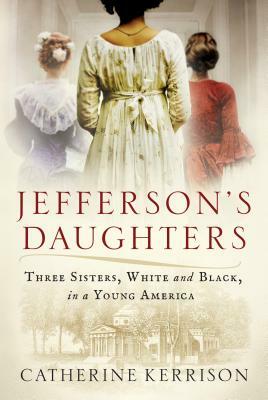 Thomas Jefferson had three daughters: Martha and Maria by his wife, Martha Wayles Jefferson, and Harriet by his slave Sally Hemings. In Jefferson’s Daughters,Catherine Kerrison, a scholar of early American and women’s history, recounts the remarkable journey of these three women—and how their struggle to define themselves reflects both the possibilities and the limitations that resulted from the American Revolution. Catherine Kerrison is an associate professor of history at Villanova University, where she teaches courses in Colonial and Revolutionary America and women’s and gender history. She holds a PhD in American history from the College of William and Mary. Her first book, Claiming the Pen: Women and Intellectual Life in the Early American South, won the Outstanding Book Award from the History of Education Society. She lives in Berwyn, Pennsylvania.